When it comes to my coffee, I prefer something flavored. Hit me up with a hazelnut cream flavored coffee and hazelnut creamer and I’m good to go! My husband on the other hand, is a purist and unless he is drinking a latte or mocha, he wants his coffee black. From breakfast blends to french roast, he loves them all. 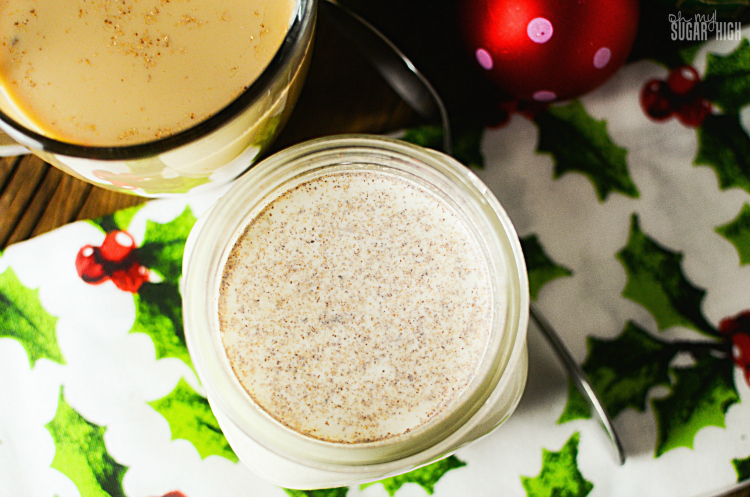 But the one drink we can definitely agree on is having eggnog at Christmas. Our whole family looks forward to eggnog season when we can pick up a quart (or two) at the store and enjoy a small glass as a special treat. But imagine if you could bring that same flavor to your morning coffee? 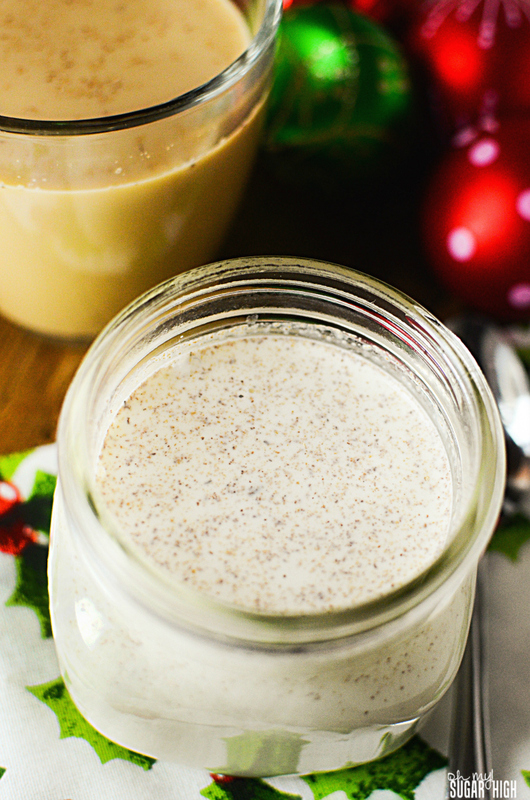 I can’t wait to try this Homemade Eggnog Coffee Creamer from Joanne Andrea. It looks like a great way to enjoy my creamy, sweet coffee in the morning. Even my husband would be willing to give it a try. In a bowl, combine the sweetened milk and half and half. Blend well. Add the rum and vanilla extract and blend well again. Sprinkle the nutmeg and whisk to incorporate well. Store in a container and shake well before each use. Give this super easy homemade eggnog creamer recipe a try and let me know what you think! I don’t drink coffee, but my husband does. 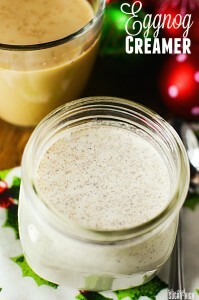 I’ve been making his coffee creamer at home for the past few months and tried several different flavors. He absolutely loves eggnog. I just know he’ll go nuts for this recipe! 🙂 I can’t wait to surprise him with it!! This looks so tasty and easy – I’ll be making this over my Christmas vacation to enjoy with my coffee, thanks for sharing!! !